As we move into the outdoor season, I want to remind you of that the safety of officials, athletes, coaches, spectators, media, etc. is the top priority of every official. Watch out for one another. Make sure those who are assigned positions are physically capable of safely doing the job. Communicate safety protocols to volunteers and closely monitor them. If you see a situation that you feel is unsafe, communicate that to your head official, referee, and/or meet director. Let's make this an accident-free season. 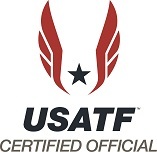 2019 USATF Membership: Please make sure that your USATF membership is renewed for 2019. A current membership is required for certification, along with a current background screen. Officials' Merchandise: Certified officials can purchase the 2019 USATF Rule Book for $10. You can also purchase USATF Certified Officials shirts in blue and red, as well as a white USATF Certified Official cap. A password is required, which you can get from your Association Certification Chair. The site is: https://team-usatf-store.myshopify.com/collections/certified-officials. Mentoring, Part II: It has also been encouraging to hear of Associations that have structured Mentoring Programs for their officials. The Pacific Association has such a program, led by Joe Van Zant. 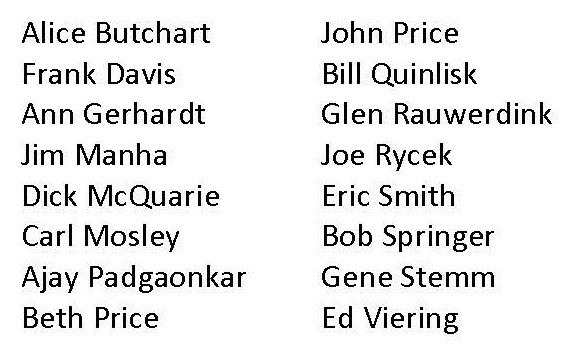 Joe sent me a list of names of those who are involved in mentoring in their Association but because there are about 30 officials mentoring others I don't have room to include them all. However, I would encourage your Association to consider a similar program. I am sure the Pacific Association could provide some help in getting started. USATF Official Spotlight - Paula Everdell, Pacific Northwest Association: In March, Paula Everdell was honored as the Official of the Meet at the 2019 World Masters Indoor Championships in Torun', Poland. Those of us who have worked with Paula know that she is an outstanding official, but in Poland she went beyond officiating to use her skills as an EMT. As Jo Burrows reports it, while Paula was officiating the M35 Weight Throw an athlete collapsed from a heart attack beside her. Paula immediately began an assessment and CPR as the Paramedic made his way to the cage. She then assisted him until more medical help arrived. The athlete was defibrillated and brought back to life. At the hospital, he had two stints inserted to stabilize him for his trip home. Paula was instrumental in saving this athlete's life and was recognized by the World Masters Association Council. Great job, Paula! We're proud of you! SafeSport has developed an annual Refresher course. This course is not required at this time. New SafeSport Certifications can only be completed online. The use of the DVD in group settings is not currently allowed. We are working with USATF to try and re-instate the group option. 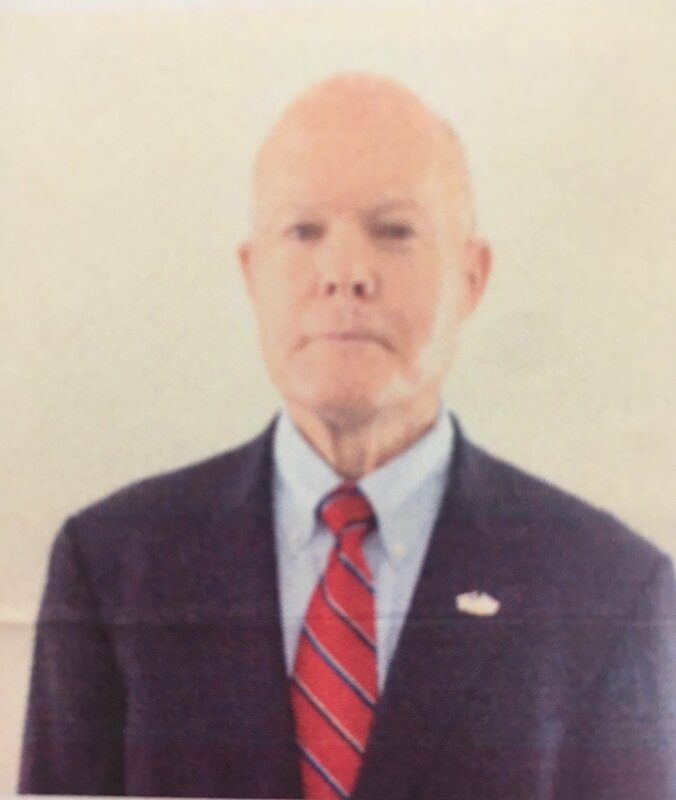 You can contact Mike Armstrong via email at USATF.Officials.Chair@gmail.com. As we get older we lose our mobility, and mobility is important for the conditions change all the time. When it rains, we have the worst conditions, for a well thrown discus hydroplanes, gains more speed and can do plenty of damage from first and second skips. Coach Venegas has been injured by an implement as have many officials from around the country. George Kleeman suffered a broken leg from an implement at the national championships in New Orleans. I noticed in the demonstration that the first bounce was at the mid-section and second bounce was around shin height. These were dry conditions. Take the time to meet with management officials and check out the facilities. Know the layout of the field for that day and pay particular attention to what landing areas may overlap. Ask the school hosting the event for some volunteers. Ask for more officials and volunteers, if you don’t have enough. Keep the officials rested and let them have plenty of snacks and fluids because fatigue is a factor. In the hammer throw; Please click here to continue reading . . .
Pits – ensure they meet the minimum size and height requirements of the rule book, and for the PV that they are properly placed relative to the box. Pole Vault Box Collar – ensure this is in use for NCAA, USATF Youth, and high school events, and that it is properly placed and fastened. Venue Area – ensure an area of 8-10 feet around the pit is clear of all items (hurdles, gear bags, crossbars, pit covers, signage, etc. ), which might pose a hazard to an athlete. Runways & Aprons – ensure measures are taken to prevent individuals from entering the venue/crossing the runway or apron. Adjacent Venues – ensure that implements thrown in adjacent venues do not pose a hazard for verticals athletes. Volunteers – brief them on safety considerations for the event (particularly falling PV crossbars & poles). The last few weeks have seen a flurry of posts on Facebook, emails between various representatives of the ruling bodies for our sport, and flat-out speculation regarding rule changes and interpretations for the current season. This got me to thinking – how well do you actually know your rule book? Each year (especially now that high school meets are occurring multiple nights each week, NCAA outdoor meets have started, and USATF road races and outdoor meets are happening as well) we all face the same problem: we use three or four or five different rule books on a fairly regular basis! The editors of each rule book make a concerted effort to notify officials of the major changes by highlights or even a special section in the rule book, but that only helps if you actually own and read the rulebook. I know, that sounds like something obvious, but we all know officials that haven’t had an updated copy of any rule book in several years, and even if you do, there are subtle differences between the various rule books that come into play. Time limits: the IAAF council recently held a meeting and rescinded the 30 second rule for first attempts in various field events. This caused a flurry of speculation that NCAA and USATF would instantly follow. Folks – THAT IS NOT THE CASE! Click to continue reading. 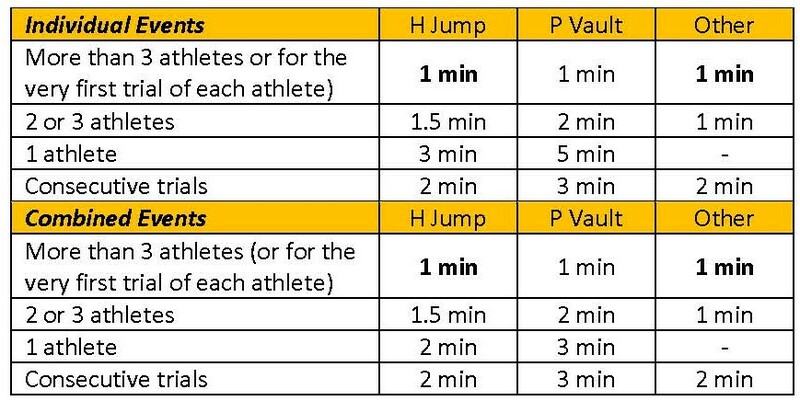 . .
Of these rule changes, the most important change is in Rule 24.17, which changes the time limits for athletes to make their attempt and goes back to the former 1 minute minimum instead of ½ minute. I have attached the letter from World Para Athletics talking about the changes and giving a chart of each specific rule change. Please read it to get yourself up-to-date. It is time again to think about those who are deserving of being nominated for the National Officials Hall of Fame for 2019. Last year was another great year for the Hall of Fame and looking forward to another stellar class for this year. We will be in Reno, Nevada this year for our banquet and we want to make a splash. We want that exceptional, hardworking, devoted official to be nominated this coming year. All the information you need is currently listed on the USATF website under Resources For, and then click on Officials. A criterion is there along with the form necessary to nominate someone. Start now so that you are ready to begin sending me the nominations for this year. In the March edition of the newsletter we published the new guidelines for the USATF Official’s uniform. One item mentioned was the plan white hat. That white Certified Officials cap just arrived in the Team USATF Store and is available for purchase for $20. 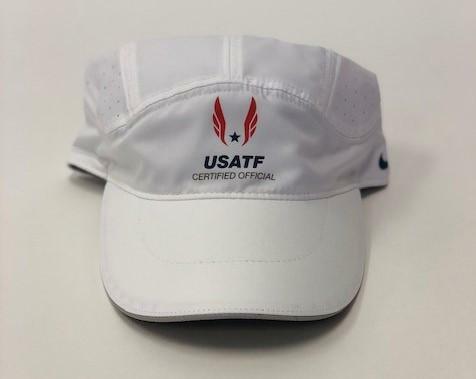 Follow the link below: https://team-usatf-store.myshopify.com/collections/certified-officials/products/nike-usatf-certified-officials-cap-white. The required password, is the same used for the rulebooks. If you didn’t order a rule book, contact your association certification chair for the password. Please do not share it. If you find this helpful, please let Mark Kostek know. The latest edition of the Equipment & Facilities Specifications newsletter has been emailed to all that are subscribers to this newsletter that Ivars Ikstrums works hard to compile. This edition includes a look at rule changes affecting equipment and facilities, a detail look at setting up the total station and a look at disqualified implements. If you didn’t receive your copy or are not a subscriber you can find the March edition on the Officials newsletter webpage. Previous issues of the newsletter are available at the same address noted above or at the Pacific Northwest Association’s webpage. Great job Ivars. The following Best Practices documents were recently updated. Visit the Best Practices Library to see all our resources. Each item has a current date at the bottom of the document; check any copies you’ve made to ensure you have the most recent version in hand. If you have a comment on the Best Practices Library or wish to make a submission, contact Rich Schornstein, the Best Practices Librarian. Officials’ applications for spring and summer championship meets are available for your review on the NOC website at this link. The OFFICIAL application period for this meet closed on March 15th. We have EXTENDED THE APPLICATION PERIOD TO MARCH 30th. [Editor’s Note: If interested ignore the 3/30 deadline date and get your application to Phil Leake, don’t delay.] We are in need of MANY officials in order to make this meet work. This meet is scheduled the same time as the USATF National meet. However, a small number of USATF officials have been selected to work the National meet. This leaves a great opportunity for officials of all levels to participate. This is a great meet to add to your resume for recognition by National Officials Selection committee and for upgrading your level of certification. Yes it's late in the year and Sacramento is known for its heat during July. The LOC assures me that we will be prepared for you and the heat. Accommodations for this meet are in the newly built dorms at Sac State with breakfast at the dorms and lunch/dinner at the field. Ideally, the commitment is for the whole meet. You can find the application on the USATF N.O.C. website. See Officials’ Applications above. Anyone who has officiated field events knows that more often than not, site preparation is something you cannot expect to be done in advance of your arrival. You also are hopeful of having capable and eager help. If you have John Patterson in charge of an event or helping with that event, your worries are over! John is a dynamo of energy. He can outwork most everyone at a meet, which, of course, includes those many years younger than he. And he NEVER complains, even when it’s hot and humid and the direction of the pole vault is switched after everything has been laboriously set up and he’s tired, sweaty, and thirsty. Or how about the time he was at a master’s championship . . . Continue reading . . .
Do you know someone that should be recognized? Drop us a note. The international Association of Athletics Federations has emailed the IAAF News Edition 201 dated March 28, 2019 to their subscribers. As of this writing, this edition has not been posted their webpage. You can click here to download your copy today. (a) The taping of two or more fingers together. If taping is used on the hands and fingers, it may be continuous provided that as a result no two or more fingers are taped together in such a way that the fingers cannot move individually. The taping should be shown to the Chief Judge before the event starts. 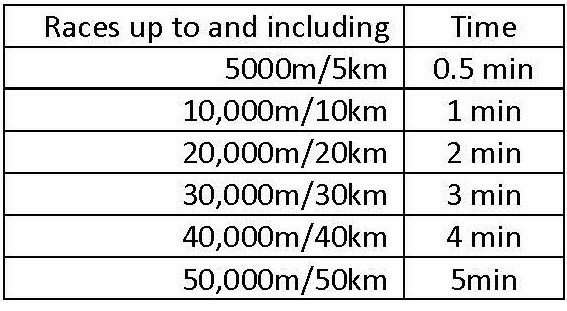 The Chief Judge shall assign the Judges to their respective judging areas and explain the judging procedure to be used during the race. The Chief Judge shall act as the supervising official for the competition and shall judge the full competition. In addition, at International Selection Competitions, National Championships and other events as determined by the Race Walk Committee, the Chief Judge shall act as a Judge as described in 230.3(f). At International Selection Competitions, National Championships and other events as determined by the Race Walk Committee, the Chief Judge has the power to disqualify a competitor in the last 100m when his/her mode of progression obviously fails to comply with Rule 232.2 regardless of the number of previous red cards the Chief Judge has received for that competitor. A competitor who is disqualified under these circumstances shall be allowed to finish the race. The competitor shall be notified of this disqualification by the Chief Judge or a Chief Judge’s Assistant by showing the athlete a red paddle at the earliest opportunity after the athlete has finished the race. NOTE: A Chief Judge may issue a red card to an athlete during the race and also disqualify the same athlete in the last 100m. Effective with the Rules in Effect on 11/1/2017, the IAAF added an opportunity for athletes in the Race Walking events to avoid a disqualification. It modified the language further in amendments released on March 11, 2019. The new information is in italics, and the March modification appears bolded. A Penalty Zone shall be used for any race where the applicable regulations for the competition so provide and may be used for other races as determined by the relevant governing body or Organizers. In such cases, an athlete will be required to enter the Penalty Zone and remain there for the applicable period once they have received three Red Cards and are so advised by the Chief Judge or someone delegated by him. If, at any time, the athlete receives an additional Red Card from a Judge other than one of the three who had previously sent a Red Card, he shall be disqualified. An athlete who fails to enter the Penalty Zone when required to do so, or remain there for the applicable period, shall be disqualified by the Chief Judge. If an athlete receives a third Red Card and it is no longer practicable to direct him to enter the Penalty Zone before the end of the race, the Referee shall add the time he would have been required to spend in the Penalty Zone to his finishing time and adjust the finishing order as may be necessary. In addition, at its meeting on March 11, 2019 the IAAF Council approved several amendments to the 2018 –2019 Competition Rules already in effect. These changes to the technical rules took effect immediately, and apply to IAAF-governed competitions. Individual NGBs (like USA Track & Field) will make their own determinations about how to proceed.